(Bag fo 25). This compression union (coupling) fitting connects 3/8" OD to 1/4" OD pipe in a straight line. Suitable for copper and plastic tubing. 3/8" OD side also accepts standard flexible water connectors. 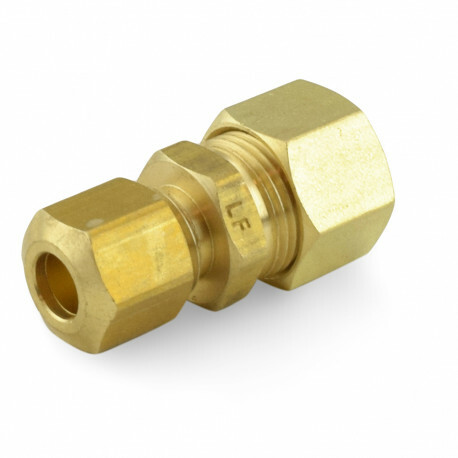 Made from lead-free brass and approved for potable water applications.